It's that time of year when the fun begins. This summer our calendar is overflowing with rides and events. Our annual Richmond Park ride to relish the summer sunset from the hill in front of the Roebuck pub, and catch up with our fellow West London cycling groups.Meet at Ealing Town Hall at 6.45pm for a 7pm departure; return to Ealing by 11pm. Don't forget locks & lights! Come by Elthorne Park from 12-6pm and have your bike checked at our stall. A gentle ride for families with accompanied children on their own bike, on child seats or in trailers, and suitable for adult beginners. We will have a short ride at a very gentle pace to a local park for a picnic. 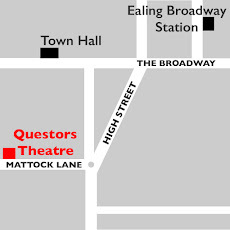 Meet at Ealing Town Hall at 9.45am for a 10am departure. Take our short course (about 4 hours including time for refreshment) on how to make good use of your gears. Each bike and rider is different, so you need to know how to get the best out of your bike and your capabilities. Meet at Ealing Town Hall at 9.45am for a 10am start. Finish around 2pm. Make sure that the gears on your bike work (can shift to any combination) before coming. Join us 9.45am at Ealing Town Hall for a 10am leisurely canal and river ride through Isleworth to the shot tower at Crane Park. Visit our stall at Pitshanger Park. 1pm – 5pm. Ealing Council is holding a Summer of Cycling festival, with rides and events for all the family. 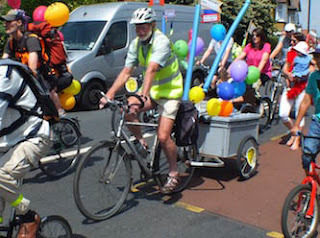 The first day is in Churchfields W7 3EJ 10am – 3pm, with a second day on 8thJuly in Northala Fields UB5 6UR. 10am – 3pm.